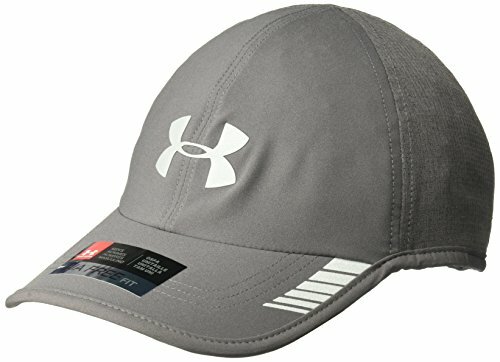 UA Free Fit features a pre-curved visor & unstructured front panels that conform to your head for a sleek, low profile fit. ArmourVent Technology delivers true breathability in a light, stretchy, durable & fast-drying fabric. Reflective taping & logo for increased visibility & safety on low-light runs. Adjustable hook & loop closure.